Six In. diameter. 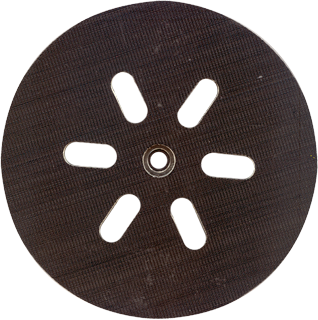 Six-hole backing pad for pressure-sensitive adhesive sanding discs. Flexible, general-purpose rubber pad allows flat or contour sanding without gouging. Fits Bosch sander models 1250DEVS, 3727DEVS and ROS65VC.